You'd be able to juggle kids on school holidays. You wouldn't need to navigate traffic jams. Your employer might gain increased productivity, lower turnover and lower lease costs. But there are less obvious downsides. Her successors have cooled on the idea. The web address www.telework.gov.au no longer works and reliable statistics for telework don't exist. And the office has become a nightmare for some. A tide of research finds many employees working in modern open-plan offices are so distracted by noise and interruptions they can't concentrate. It's enough to make employers allow working from home for everyone who can. But a key finding from the same study sounds a cautionary note. It's not just isolation and loneliness. In 2013 Yahoo chief executive Marissa Meyer banned working from home, saying that in order "to become the absolute best place to work, communication and collaboration will be important, so we need to be working side-by-side. That is why it is critical that we are all present in our offices." One study showed that engineers who shared a physical office were 20% more likely to stay in touch digitally than those who worked remotely. Employees who were in the same office emailed four times as often to collaborate on shared projects than staff who weren't in the office. The result, for these sorts of projects, was 32% faster project completion times. 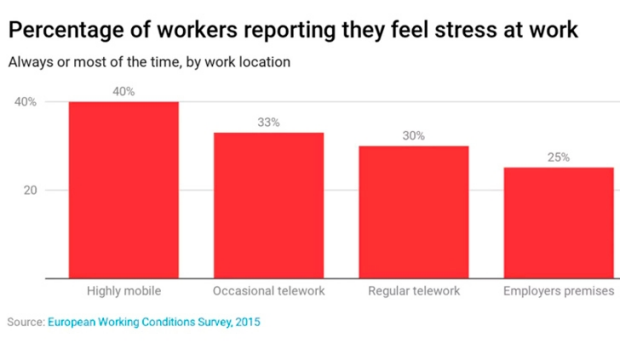 Some 41% of highly mobile workers felt stress "always or most of the time" compared to only 25% who always worked at the office. There are strong, evidence-based reasons to both work from home and the office. So, what's best? 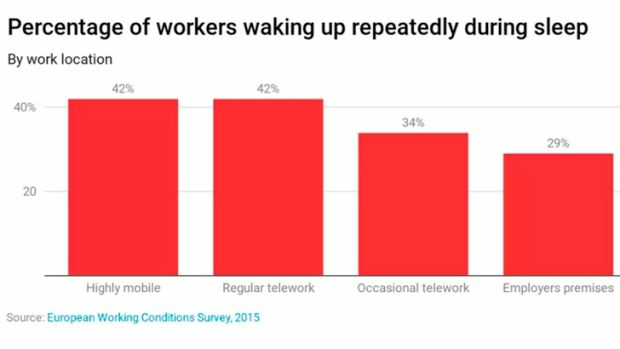 One thing that can be said with certainty is that workers shouldn't be forced to work from home because the office is too noisy for them to concentrate.